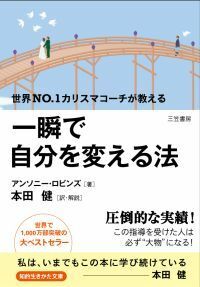 Prepare to learn from a true “Life Expert” Kounosuke Matsushita himself and discover hints how to live your own life to the fullest! The same man who is now known by the entire country of Japan as the “God of Business Management” was born into poverty and was said to have been sent out to work at the young age of nine. Not only was he unable to go to school under those circumstances, it also left his growing body malnourished and weakened. Despite all that, how did Kounosuke Matsushita rise up to the very top of the business world in Japan? Learning about his philosophy of life in the pages of this book will surely help you discover not only how to find and open the doors to your own fate, but his story will also prove to you that no one is forever bound by the circumstances that brought them into this world. As a woman, the distance you place between your self and your work can change your life. Is it possible for women to find happiness by changing the way they work? According to Ken Honda, there are seven different choices of working styles that women can choose from. The path you decide to take will have a big influence on more than just your salary; it can drastically affect your work-life balance, the size of the role work will play in your life, and even your marriage or closest relationships. No one path is inherently better than any other, but Ken explains that understanding the various options and benefits of each workstyle gives you an important insight into your own life choices and allows you to see alternate possibilities you may not have noticed before. 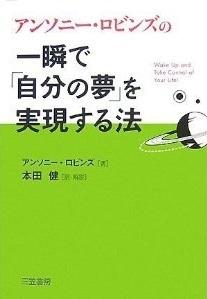 This book will help you decide exactly what type of life and workstyle works best for you personally. This book is the second in the Smart Women’s Series, following “The Smart Woman’s Guide to Earning, Increasing, and Protecting Her Money”. If you enjoyed this book, you may also be interested in the first book of the series which outlines 52 simple guidelines for working women to support their overall happiness level in life. When you find that one book, the pages of your life will open to incredible possibilities. Do you read a lot of books? Ken Honda has written over 100 books, but this is the first time he’s ever written about the love of reading. This book tackles the subject of reading from a variety of different angles, answering questions such as why people read books, how you can read, and what you should be reading. There are a thousand reasons why reading is good for you, but perhaps one of the best is that it helps you grow as a person. Reading books allows you to soul search and make adjustments in how you think about the direction of your life. The power of reading can literally change your life. It is also a door to self-improvement. If you’re interested in opening that door, you’re welcome to stop by at any time. Are you happy when it comes to money? Money influences our lives, no matter what lifestyle we choose. Even when it comes to having children or looking after your parents, your economic status controls the future of every generation in your family. With all its influence over your life choices, did your parents ever teach you useful, practical knowledge about how to earn, increase, or protect money in today’s modern world? Unless your mother and father predicted where the current state of society was headed and intentionally made sure you were educated about money, more likely than not you are in the same position as everybody else who became an adult knowing hardly anything about money. In this modern society made up of complex combinations of old and new systems and values, how can women be true to themselves in a financially and mentally healthy way? 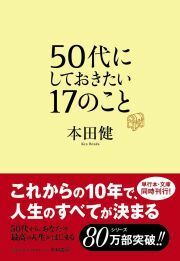 While this book is centered on money, I hope that it’s a book that all women will read at least once to learn about how to live in an intelligent way. I’d also recommend it to men who want to better understand the women in their lives. Before becoming an author, Ken was just a stay-at-home dad who had never written an article longer than a book report. How did someone with no writing experience become a professional author, purchase a mountainside resort center in Japan, and get invited to join an international group of transformational leaders? Do what you love and live freely! 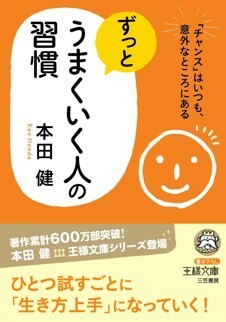 If you read this book, you can learn everything you need to know about how to do what you love and live a happy life. Just browsing through this one book can give you an understanding of everything from “what is a gift?” to “how to live true to yourself” in less than 2 hours. Although the pages are few in number, each one overflows with advice on why you should do what you love, how to find your gifts, how to turn your gifts into money, how to manifest your goals, and much more. Unfortunately, even though we’ve entered the 21st century, many people continue to work at a job they just happened into instead of doing what they really want. Even as I wrote this book, I recalled my own gifts and felt a wave of excitement from the chance to help people change their lives. Although you may sometimes feel down or perhaps nod in agreement, nothing would make me happier as an author than knowing that readers walk away thinking “I want to use my gifts more than ever!” The wonderful thing about using your natural gifts to fulfill your lifework is that not only does it make you happy, but it makes everyone around you happy, too. I truly hope you find what you love and keep on doing it. I think you will have more fun than you’ve ever had in your life. My sincerest wish is for this book to inspire more and more people to start doing what they love. This memoir began in the pages of Roice Krueger’s diary, revisiting the memories of his time with Dr. Stephen Covey. Roice was a cofounder of the company along with Stephen himself, and in this book he speaks of the time they spent together as some of the brightest, happiest days of his life. Technically speaking, they did not have a teacher-student relationship, but ultimately, Roice learned the deep value of living a life based on principles from watching how Stephen himself lived true to his words. This book is a collection of the priceless memories that made a deepest impression on Roice as he reflected on Dr. Stephen Covey and their time together. Some people never seem to catch a break no matter how hard they try, while others lay back in prosperity and success with what appears to be no effort at all. Considering that age, appearance, education, and intelligence are relatively the same between these two groups of people, what could possibly be making the difference? It has everything to do with luck. Broadly speaking, there are two kinds of people: those who are lucky, and those who aren’t. However, you can’t give luck all the credit for success - if that were true, “unlucky” people would never get anything done. This book explores the theme of why some people naturally seem to have good luck. It also teaches how to create some of your own luck in your day-to-day life. If you pay close attention, you’ll notice that those people we consider “lucky” tend to have certain types of friends and very particular ways of thinking, feeling, and acting. Each of the “49 Quotes” in this book takes elements lucky people have in common and puts them into words. These powerful quotes will then open doors to a brand new world. Each time another door opens, new possibilities spring forth. What do you want most in life? Depending on your answer, it could dramatically impact your future. If you want nothing but excitement in your life, then stability will be hard to come by. On the other hand, life can become quite boring if you constantly put stability above all else. The same holds true with money. If you think about nothing but money, the world can feel like a harsh place to live, and looking for adventure and profit speculating on risky financial transactions can physically and emotionally drain you. It is important create a sense of balance in what you want most in life. Habits create our lives. People who do well have habits that help them do well, and people who don’t do well have habits that keep them from success. People who live well clearly have something important in common, and this book reveals exactly what that is. Find that special person and open your heart to be loved. “I can’t meet anyone I like,” or “I’m dating someone, but they’re not ‘the one’ for me.” A lot of people share these very same concerns. This book was written to help everyone with those worries understand what’s truly important when looking for someone to love. When you have someone in your life that you love from the bottom of your heart, your world becomes exponentially brighter. This person’s presence and the love you have for them welcomes a state of happiness. Even when times are tough, you’ll be able to find the strength to overcome any challenge. That’s the power of love. But how do we even find that special person? What’s the difference between someone who can turn a new encounter into a chance for love, and someone who struggles with meeting someone new? What is most important when it comes to building a great relationship with the person you deeply love? As you begin to understand the essence of relationships, Ken Honda will make you think deeper about your outlook on life, your values, and even your relationship with your parents. This book could be the key that opens the door to a completely new chapter in life. Overflowing with important, real-world information, this book will help you transform your passion into money. Imagine turning something you already love to do into financial success and leading a life of abundance on many different levels. It doesn’t get much better than that. This book can be the turning point for anyone wishing to attract more money and passion in life. This is a guide to show you how to live in abundance, do what you love, and achieve a life of both happiness and prosperity! How would you like to change your relationship with money? For the elephants of Kanesha Village, even without lifting a foot, money continued to accumulate by itself like a dream come true in the frenzy of Hedge Fun investments. One day, the village of Kanesha rather abruptly lost all its money due to the financial collapse of the faraway country of Greecehopper** and the careless words of one small child. So, where did all their money go? Can you imagine what the elephants of Kanesha did? What would you do if all your money disappeared? What is most important to overcome any kind of financial crisis? Ken Honda would suggest learning to manage the abundant flow of people, money, and opportunity, and start asking questions that create and spread love. He has collected the most valuable rules of life and work in this surprisingly humorous book that gives you something to think about. *The name Kanesha is a pun on Ganesha, the Hindi diety with an elephant's head. In Japanese, kane means "money." **The Japanese wordplay combines the words for "Greece" and "Grasshopper". We're trying our best to translate these puns. Thank you for humoring us. People of all ages worry about the right way to live. After interviewing people of all stages in life, the author realized that almost everyone feels a bit lost, regardless of his or her age. There is no correct answer or prescription that will solve all your problems. That’s why most people go through life carrying vague feelings of worry or anxiety. This book divides our most common worries into several groups: Relationships with Others, Money, Work, Family, Love, Time, Health, Luck/Fate, and Life Goals. Working through these 9 themes, we can conduct an inventory on our lives, looking deeply at the question of what is most important to us from every possible angle. After clarifying what is most important, we begin to look at our life and future in a totally different way. This is because even though we may continue to experience a lot of worries along the way, we can also feel the peace of mind that comes with finding our own special answer to that question. After reading this book, you may find yourself thinking that your life isn’t so bad after all, and get excited about what’s to come. *Everyone* has undiscovered gifts. This book was written as a practical guide to the book, “How to Find Your Gifts” (Forest Publishing). Ken Honda has met many extremely talented people who make the best out of their natural gifts, and has written this guide to help other people find their gifts, too. There is a huge difference between a life where you use your gifts and a life where you don't. "17 Things to Do to Find Your Gifts" introduces specific exercises for you to discover and wake up the talents sleeping inside of you, and allow your gifts to blossom. There are so many ways to know yourself better and to discover your talents, including “Follow through when you are invited to do something new.” “Do your best to successfully complete whatever is asked of you.” “Do something that makes you excited for at least 5 minutes every day.” “Let yourself get carried away sometimes,” and much more. With this book, you can make full use of your natural gifts and start creating the life that you really want. "My life shouldn’t be like this!" This is the second book in the best-selling “Do What You Love!” series. 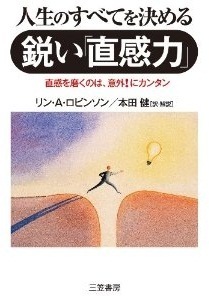 The theme of this book is “how to find your natural gifts and talents.” Ken Honda has collected all the knowledge and experience from his previous books, counseling, and seminars that have influenced millions of lives into this one book. "What is a gift, anyway?" "Is there a dark side to having gifts?" "Can I find my gifts through negative emotions?" These are a few of the questions this book looks at to give you a multifaceted, introspective approach that will help you to find your own true abilities no matter who you are. Discovering your gifts will change your life. It changes not only your day to day emotional state, but even the level of your social activities, wealth, and the type of people you spend time with. Are you satisfied with your current lifestyle? If you feel in your heart that something is “off,” listen closely. There are many amazing gifts sleeping inside you. You just haven’t realized it yet. Have faith in your future, and set out on the adventure of finding your true gifts! What kind of questions do you ask yourself? The quality of those questions determines the quality of your life. According to Ken Honda, happy people ask questions of themselves and others that actually increase the amount of happiness in their lives. This book introduces 51 important questions that can awaken a source of power inside you that lifts you up when you’re tired of dealing with people or stuck in the patterns of your daily life. Ken includes his personal perspective and experience in each chapter, sharing the essence of what it takes to live happily no matter what obstacles come your way. Whenever you feel down, defeated, or tired, developing a habit of asking yourself some of your favorite questions from this book may in fact inspire a big change in the way you handle your relationships, health, finances, and business. What adventures will you begin in the remaining chapters of your life? In your 60s, you are still too young to be called "elderly." The reality is that your frame of mind at this age determines whether you are young or old. You have 20 years left before you reach the average life expectancy. This is a time to reevaluate what your purpose is in life and to create your own value. 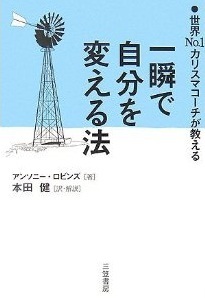 The sixth book of the “17 Things” series was published in response to popular demand by readers. 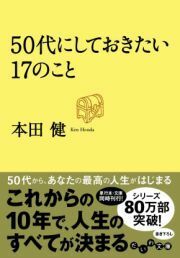 Ken Honda, who was in his 40s at the time of publication, set about interviewing as many people as possible who are over 60, asking questions from every angle to collect the most important advice from those in the know. “Rekindle the dreams you had when you were young. Contact friends who you haven’t heard from in years. Even if you feel lost, just do it. Determine what feels right for you and your partner. Let go of your job..." These are some of the 17 messages for those who would like to make the most of their life. It's a must-read for those thinking about how they can improve the last chapters of their life. Use luck to create the best life possible! Lucky people, lucky companies, lucky places… Despite being invisible, “luck” plays a mysterious role in our lives. Ken Honda has organized 30 years’ worth of success stories into this book, detailing exactly what it takes to improve your luck. Luck is something that plays a large role in the quality of your life, and you have the power to change it in the blink of an eye and learn to use it at will. Four elements work together to guide your overall path in life: your ability to grasp and take advantage of luck, your personality and inner self, the way in which you build relationships, and the environment you choose to live in. “If you feel you have bad luck, take it as a sign to reassess the foundation of your life.” “Be aware of your own cycle and rhythms of luck.” “When you feel lost, rely on intuition and synchronicity to move forward.” “Make a conscious effort to share your luck with others.” “Say ‘no’ to a mediocre life.” These are just a few of the rules about luck that have been carefully collected in this volume to help you put practical advice into action and change your life. Build a foundation for your life and a philosophy for your happiness! The best-selling “17 Things to Do in Your 20s” has finally been released as a workbook. “No one has ever succeeded without failing somewhere along the way.” “Life is made up of your experiences.” “Why can’t you meet the right person to fall in love with?” “Your life changes dramatically when the uncomfortable wall between you and your parents disappears.” “Gifts come in many shapes and forms.” These and many other lessons are laid out in an easy-to understand way, with charts, pictures, and even manga to help you enjoy your 20s to the fullest. Interviews with 8 celebrities looking back on their 20s are available exclusively in this workbook. As you read the messages of those who came before you on the gifts of living an exciting life, you’ll begin to define your own philosophy for a happy life. The “Challenge Corner” is filled with a variety of activities to help you identify both your gifts and roots, making this the perfect tool to help self-analyze and find your true self. This groundbreaking book will be your support as you lay the foundation for the rest of your life. Many people wonder if they'll ever be able to achieve “financial independence,” or if that's just a dream that only certain people get to realize. According to Ken Honda, “financial freedom is possible for absolutely anyone. However, the one condition is that you must think in a way that’s just a bit different from normal.” So, how do we get ourselves to start thinking in a way that’s “just a bit different from normal”? That’s why this book is called the 60 Habits of Financially Independent People. It was written in order to give clear, concrete examples of how financially independent people are succeeding around you. While reading, you may realize that you can live in happy prosperity, too. Choose to do what you love for a living! Work should allow you to have fun in your life. The way in which you choose to work will determine how happy you are with your life. This book will help you find your ideal job and show how your work can be more fulfilling. How can your job search pave a better road for your life? This book is full of hints that will help you think about answers on your career, money, and even the nature of work itself. “Choose whether you want to be free or not; No matter what you choose, it is important to keep moving forward; Learn from the best to become the best; Know the five joys of working; Be aware of the struggle to balance work and your private life; Enjoy the detours...” The 17 chapters book will help you begin thinking about what you really want to do with your life, and show you how to create a brighter future. 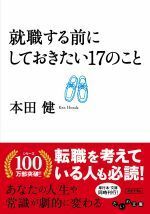 Ken Honda wrote this book from a different perspective than how people normally consider "work." 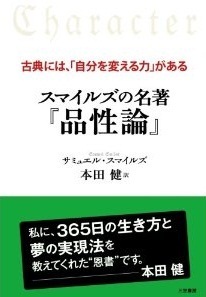 It is helpful even for people who already have a job and wish to make a change. Words have the power to change your life. Your heart is the creator of all the happiness and unhappiness in your life. When you learn to understand the mechanisms that control your heart, your world becomes a brighter place. Ken Honda has collected 22 messages that warm your heart when you’re feeling down. Through his personal experience and that of the many clients he has consulted over the years, you’ll come to understand the workings of your own heart. “Your emotions are the true source of all your pain.” “The less things go your way, the more happiness you’ll feel.” “You only suffer as much as you expect yourself to.” “Tears of sadness can revive your passion.” “If it’s hurtful, it didn't come from love.” “When unhappiness never seems to let up, that’s when your luck is recharging.” “You decide your own future!” These are a few of the warm messages in this book that can calm your fears and ease suffering in times of need. This book will support you whenever you feel anxious or worried. Your 50s is the perfect time to make the best memories. Since the average life expectancy for an adult is 80, people in their 50s are in the middle the 10 most fulfilling years of their life. Many people begin to feel concerned with possible health problems that affect you and your family during this time, but it's also a chance to create amazing memories with the people you care about the most. The choices you make in your 50s affect not only these 10 years, but they also decide your level of happiness for the rest of your life. Ken Honda has collected essential advice about improving on what you have already begun: Attempt something you've never done before. Decide how you want to live the rest of your life. Live without the burden of obligation. Revisit your hometown or origins. Bring back the romance in your life. Realize that time is life... These are a few of the 17 messages that you can begin applying to your life right now. 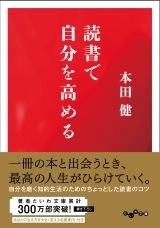 This book is full of hints that help you to perceive and take on the challenges and accomplishments in your life and continue moving forward. This is a must-read for those seeking to lead a more blessed, fulfilling life. This is a bible of love, a reference for those who want to find and experience as much happiness as possible. “Love, and be loved.” This is the most important thing in life, and it can bring you incredible happiness. Why do relationships fail? What can you do to make your next relationship go well? Why you either run away from or rush into relationships? This book can help guide you with 17 rules that will help you love your partner without any regrets, including “Be a good judge of character," “Understand what doesn't work,” “Know the difference between love and need,” “Know your own sexuality," and many more. Ken Honda presents a brand new world through Bashar. The series from the multi-dimensional being “Bashar” has become a best-seller with over 2,000,000 copies sold. Readers who receive inspiration from his messages come from all walks of life, including business, politics, Hollywood, and sports. 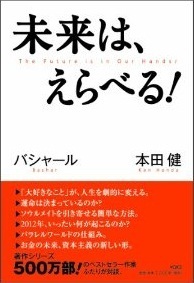 This book is a collection of Bashar’s interviews with Ken Honda in December, 2009, in the Los Angeles area. Ken found himself asking one sharp question after another in the presence of Bashar’s powerful energy. Many simple yet deep messages can be derived from Bashar’s answers that passed through American channeler Darryl Anka from questions such as “What blocks us when we’re doing something we’re passionate about?” “What’s the difference between people with good luck and bad luck?” “Why can’t we fulfill our dreams?” “How are money and prosperity related?” and “Is there male and female luck?” This is an essential book for anyone who wants to choose a happier, more abundant future. For many people, your 40s feels like the start of the latter half of your life. Maybe you are "already" in your 40s, or have" just entered" your 40s. It all depends on how you look at it. For people in their 20s, your "40s" already seems too late. But people in their 60s perceive those in their 40s as still very young. Never give up, for there is a world of possibilities out there. What is the key to life in this attractive age, when people in their 40s have both the benefit of experiences that those in their 20s do not have and the youth and energy that those in their 50s have lost? “Ask for guidance from people in their 60s and 70s. Write down the things you wanted to do in your 20s. Do the things you want to do so that you will not have any regrets. Open up to your partner to learn the true meaning of happiness. Prioritize happiness over being right or wrong. Think about what you can leave to the next generation.” These are a few of the 17 messages in this book to help you spend the latter half of your life as happy as possible. This book will help you understand that knowing how you want to live today is the key decisions in the latter half of your life. 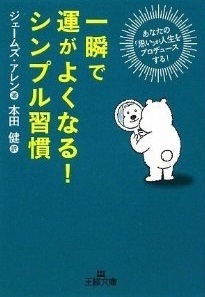 Use the hints in this book to open up a world of new beginnings. Life Will Get Better, No Matter What! The bigger the challenge, the bigger the chance to improve your life. This is what inspired the creation of the “Things will get better, no matter what!” series. However dire the problem may appear while you're in it, it is a necessary step for bringing you closer to a happier future. “This way of thinking gives you the ability to create a brighter future.” This inspirational message becomes the courage you need to stand up and face your situation. You’ll want to pick this book up again and again, and read it anytime you’re feeling down about work, relationships, or past mistakes. People who say they love this book probably know exactly how you feel. The more you share wealth and happiness, the more they grow. 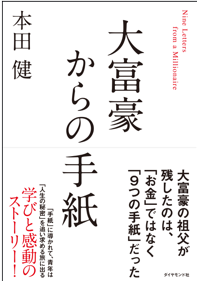 Ken Honda deepened his research on money and happiness to bring you the second book in the inspirational series, “Life Will Get Better, No Matter What!” Most of us walk through life carrying a lot of stress about money’s role in our daily lives. From when we wake up in the morning until we close our eyes at night, it’s impossible to go through life without thinking about money. this is true regardless of how much you have. Without emotional freedom, we become slaves to our own money. This book is a collection of practical information and wisdom to help you accept a life of wealth without being controlled by money. For instance, “For the truly wealthy, a problem with money or work is just an invitation.” “Earning power is something you purchase.” “Never become stuck in the same place for more than 3 years.” Lessons like these will arise from the trials at hand and remove the veil from your eyes. 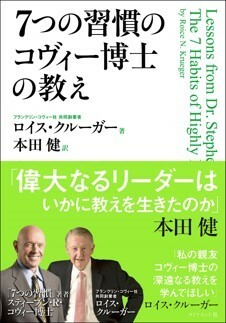 Please use this book as a reference to achieve the wealth and riches of life that you deserve. Your teenage years are full of hope and possibility. All teenagers pursue their dreams hoping to lead a happy adult life. 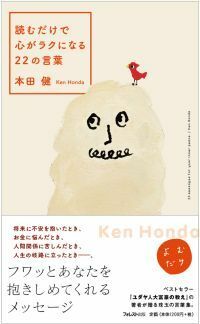 In this collection of life advice, Ken Honda says that once you understand there are no correct answers in life, you can learn to observe the structure of society and question what is considered common sense so you can freely design the kind of life you want to live. Ken offers hints from his own experiences and collected advice from many people who were once teens themselves. Some key points include understanding the importance of making a lifetime friend, learning a foreign language, and realizing that a chance encounter with the right book or right person just might change your life. This book brings together the 17 most essential messages that will help anyone feeling depressed or anxious to feel happier in life. 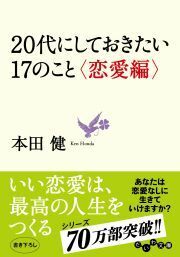 This book is recommended not only for teenagers, but also for those who have lived a little longer. A list of “17 Books you should read in your Teens” is included as a gift. This is the last chance you may have to dramatically change your life. In your 30s, you are perceived as being neither young nor old. During these 10 years, some of the biggest events of your life can happen: Marriage, children, career changes, personal independence... They could be some of the busiest years of your life. The manner in which you live and the decisions you make throughout your 30s will decide 90% of the rest of your life. For those wavering between hope and hopelessness, the most important thing to do is to make sure you have chosen a truly happy life. Some of the most crucial things you should do in your 30s, the so-called turning point in your life, were condensed in this book: Know yourself. Check your self-image regularly. Show gratitude to your parents, and say good-bye before they’re gone. Face your own darkness. Imagine your own death, and try to write a message of condolence to be read at your own funeral. Take on the challenges you face in your 30s, so that you can lead a wonderful life in your 40s, 50s, and well beyond. For those entering, living, or leaving this significant time of their lives and wish to pursue a lifetime of happiness, this is a must-read. Job-hunting, money, relationships... These are just a few of the many things people worry about in their 20s. What can you do in your 20s to live a life without regrets? What kind of future awaits you? In your 20s, you should determine what kind of happy life you want to live and make that your foundation. Ken Honda shares both from his own experience and interviews with people who have been through their 20s and know exactly what advice they would give their past selves. He arranged the 17 most important things to do in your 20s into this book. 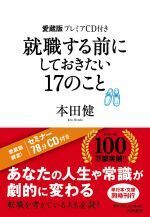 "17 Things to Do in Your 20s" is full of guidance to help you understand the philosophy of your own happiness. “Be fearless of failure, even when you want to cover your eyes.” “Fall deeply in love, even if you have to wait in line.” “Have a friend who you would bet your life on.” “Develop a true sense of what you like or dislike, and identify your natural talents.” “Find a mentor who can guide you exactly where you want to go,” and many more. This book was written for everyone in their 20s, to show this generation that there is an amazing future in store. 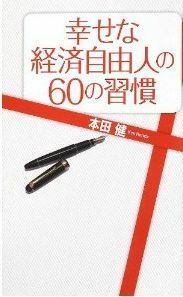 This book is one of Ken Honda’s longest-running bestsellers, despite being marketed only by word-of-mouth when it was originally published. Use “luck” to create the best possible life! Lucky people, lucky companies, lucky places… Despite being invisible, “luck” plays a mysterious role in our lives. The author has compiled 30 years’ worth of success stories into this book, detailing exactly what it takes to improve your luck. Luck is something that plays a large role in the quality of your life, and you can change it in the blink of an eye and learn to use it at will. “How to Grasp the Essence of Luck.” “Your Inner Personality and Who You Really Are.” “Building Personal Relationships.” “Your Environment.” These four elements combine together to determine your path in life. “If you feel you have ‘bad luck,’ take it as a sign to reassess the basics in your life.” “Be aware of your own cycle of luck.” “When you’re lost, rely on intuition and synchronicity to move forward.” “Make a conscious effort to share your luck with others.” “Say ‘no’ to a mediocre life.” These lessons from the author and many more have been carefully collected in this book to help put practical advice into action that yields results. What kind of questions do you ask yourself? The quality of those questions determines the quality of your life. The author states that happy people ask questions of themselves and others that actually increase the amount of happiness in their lives. This book introduces “51 Questions” that awaken a dormant power inside you to use when you’re tired of dealing with people, or stuck in the patterns of your daily life. Each of these 51 questions is filled with advice from the author’s personal experience, sharing the essence of what it takes to live happily no matter what obstacles come your way. Whenever you feel down, defeated, or tired, asking yourself some of your favorite questions from this book may in fact inspire a big change in the way you handle your relationships, health, finances, and business. “This is not how my life was supposed to be.” If this thought has crossed your mind, perhaps this book is for you. In moments like that, what you really need is someone who can give you advice. According to Ken Honda, “One reason people don’t succeed is that they didn't receive any good advice. Even if you ask your current boss about what steps are needed in order to be your own boss someday, it’s unlikely that you’d get any helpful advice. If you’re serious, you should talk to someone who has already succeeded in creating a lifestyle that you admire after leaving their 9-5 job far behind. If you feel energy building up inside while reading this book, that’s a sign that you should walk the path of financial independence, too. This book is an instruction manual for anyone who is truly serious about wanting to become happy and financially independent. That feeling of excitement is the first step on the road to financial freedom. 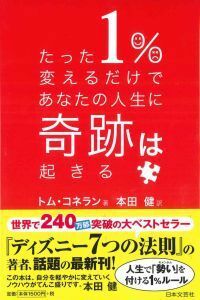 This book is filled with hints on how to get along better with money. The first step is to let go of some of the problematic beliefs about money that you developed during childhood. This book teaches you how to walk the path of financial freedom with Money IQ and EQ. Get the job of your dreams, doing what you love! The closest route to living a happy life of prosperity is through working at a job where you do what you love. “Lifework” simply means the state of doing what you love and achieving happiness. That includes the possibility of starting a career that’s so fun, rewarding, and satisfying that you don’t even care if you’re not earning a lot of money. When you think about the fact that you spend over half your life working, you realize that finding your lifework is the most essential thing you can do to achieve happiness in your life. 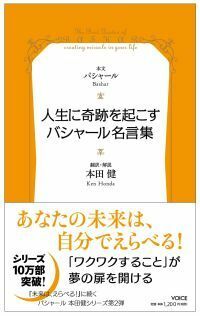 The third book in the Happy Prosperity Series tells the story of a young 20-something Kenny and his girlfriend Reiko. As young Mary’s daddy, a financial expert, asks Kenny all about lifework and discovers the most common excuses for not going after it, the real story of how to succeed in finding happiness and prosperity through doing what you love is revealed. If you are one of the many people starting from "I don’t even know what I love to do,” this is the book that will show you the way to your dream job and how to live in prosperity.